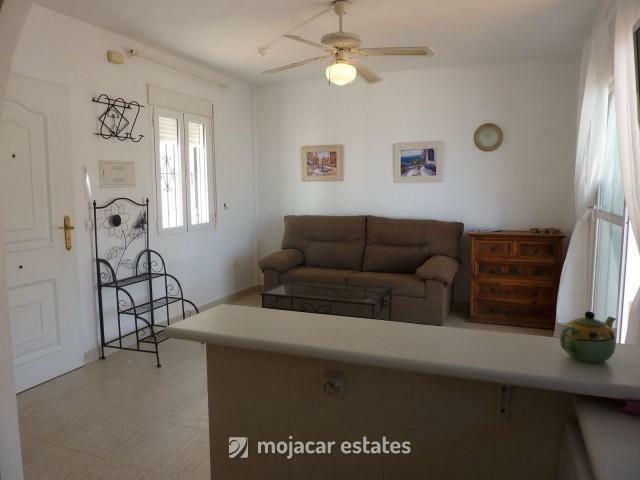 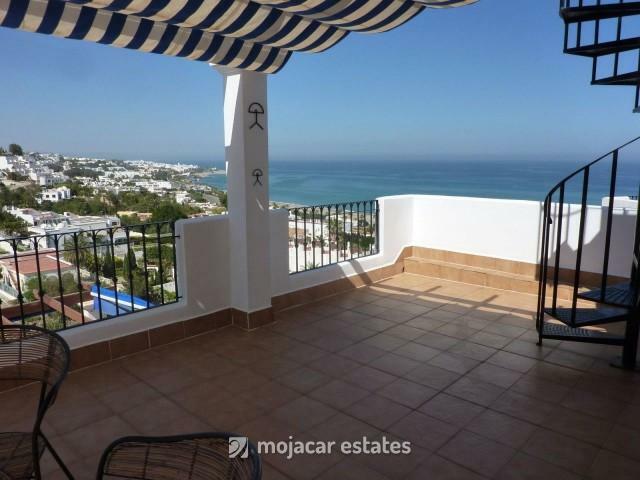 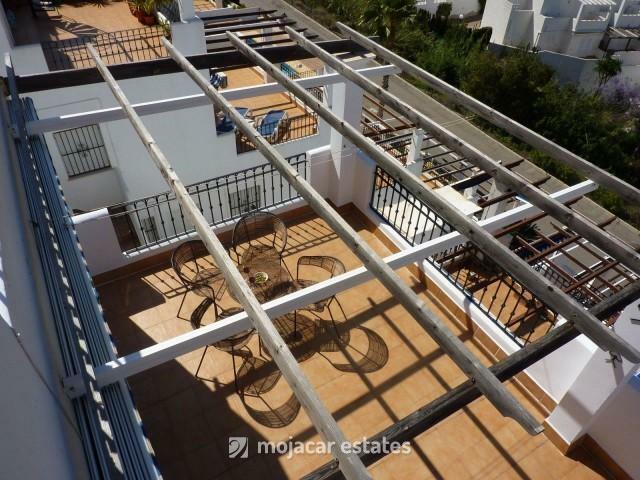 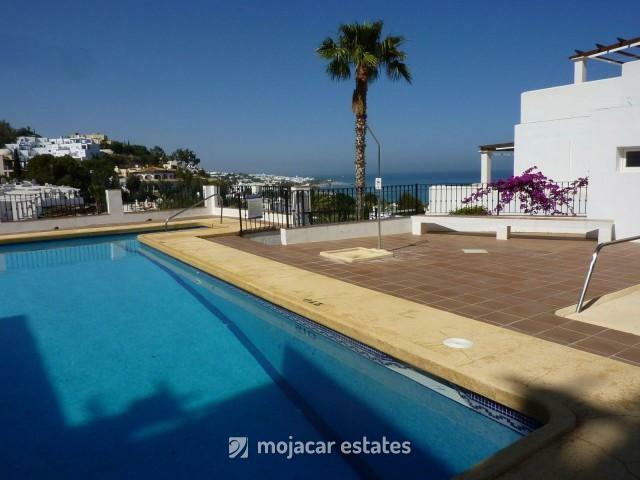 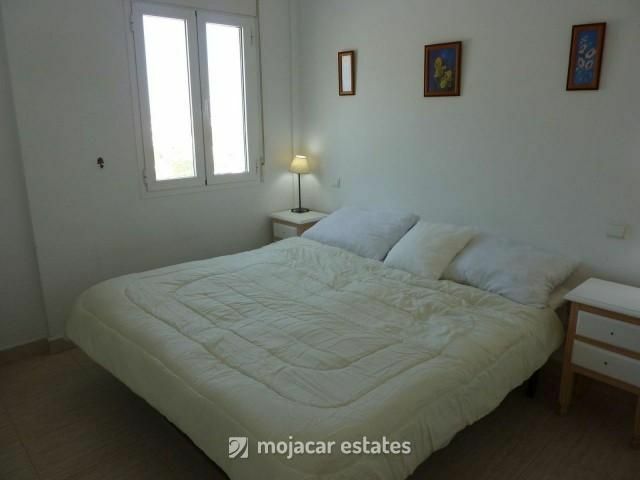 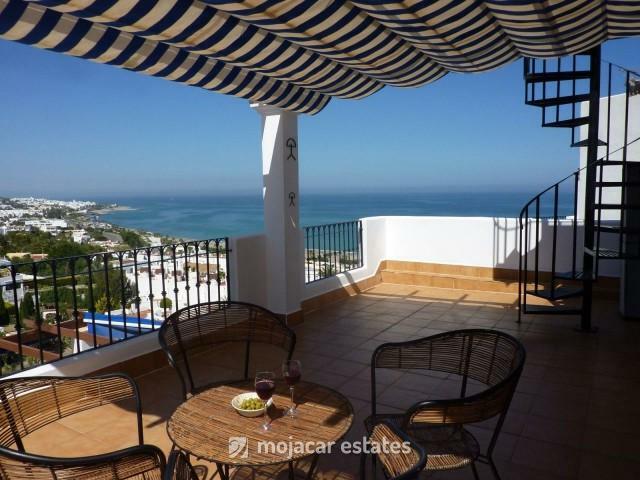 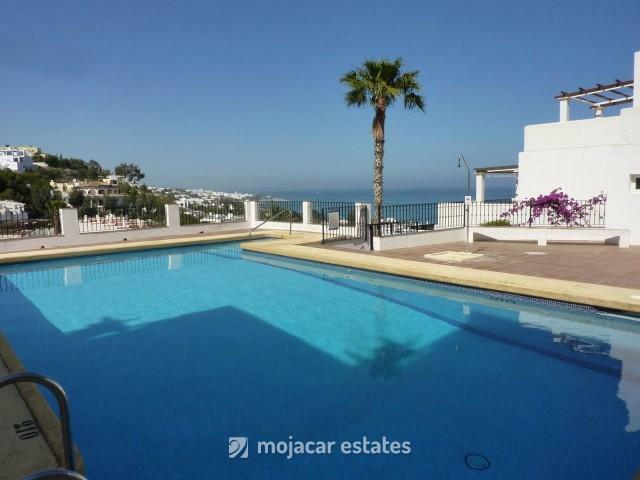 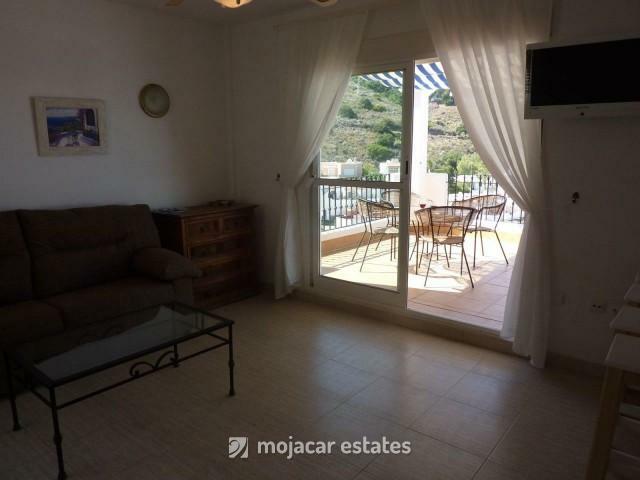 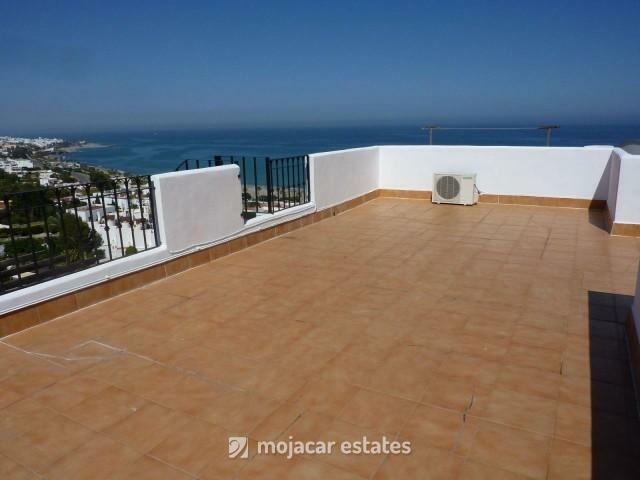 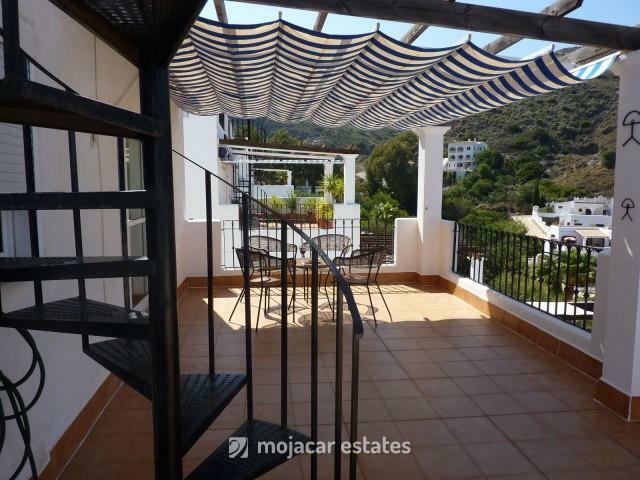 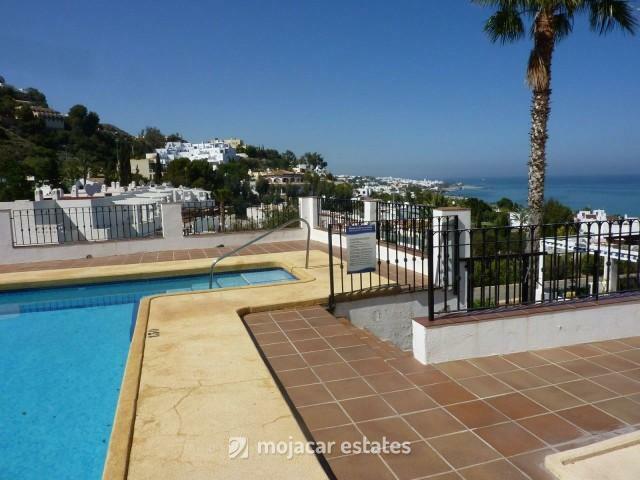 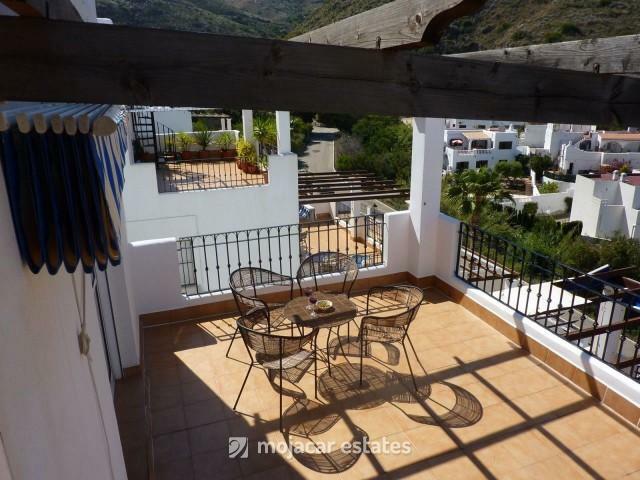 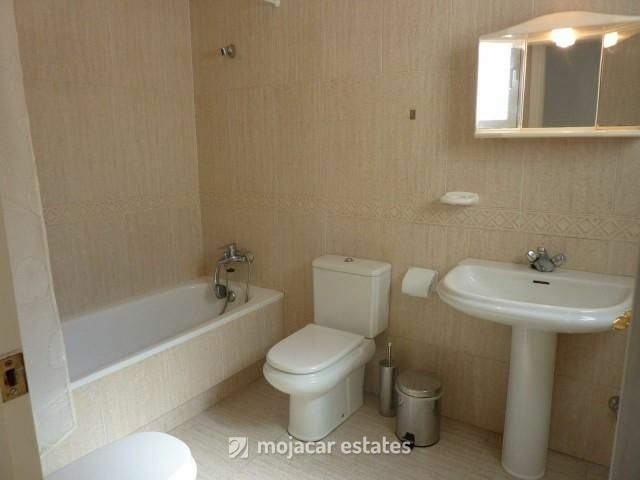 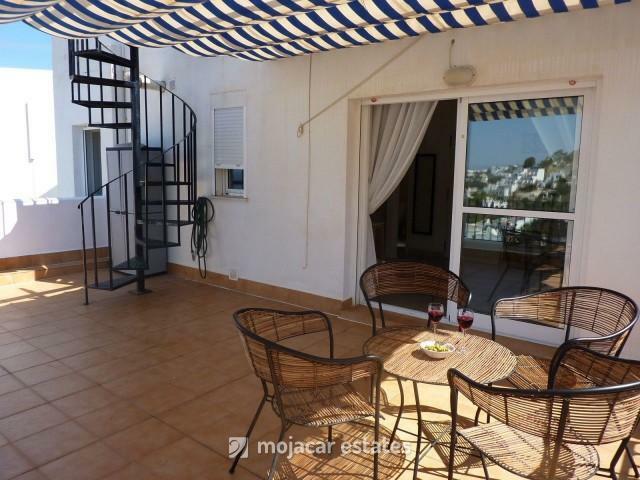 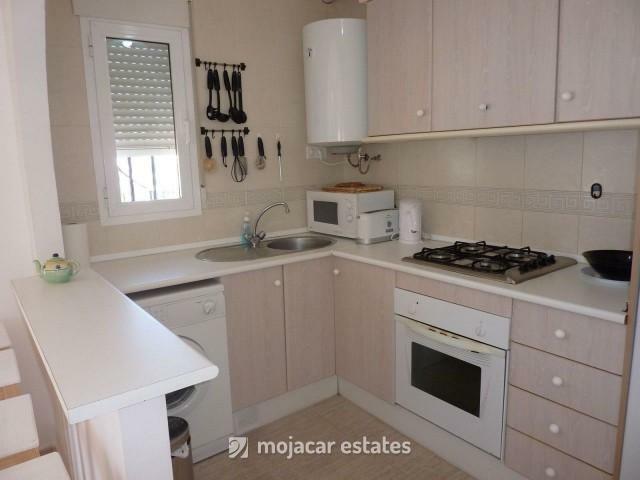 Lovely top floor apartment with stunning sea views in community with swimming pool located approximately 400m from the very well know beach of Las Ventanicas in Mojácar Playa. 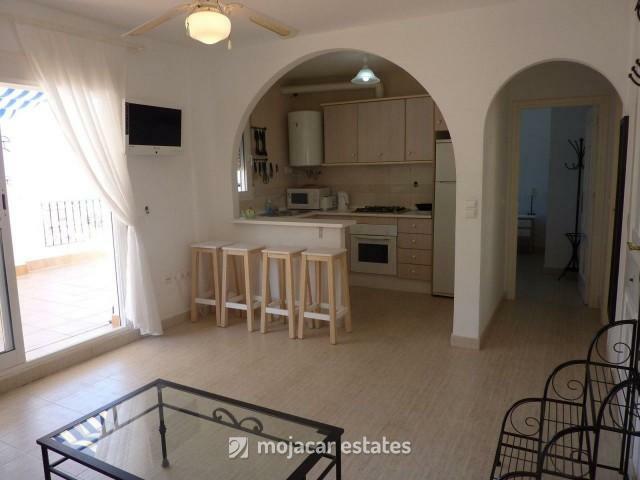 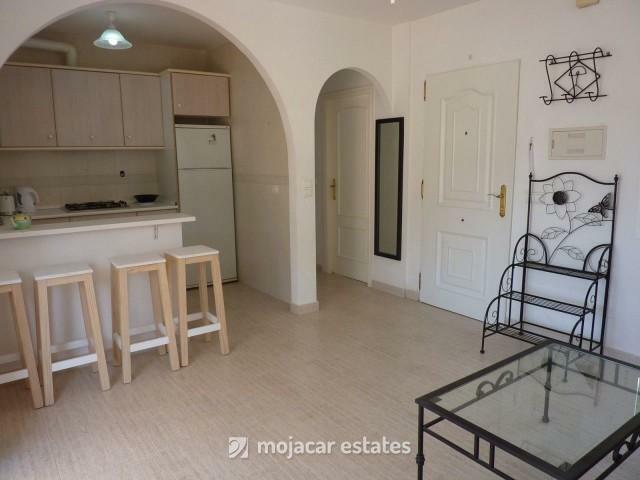 There is 1 bedroom with 2 single beds put togehter, built in wardrobe and air con unit, full family bathroom, fully equipped open plan kitchen, lounge with with access to large terrace with awning and winding staircase leading up to private roof terrace. 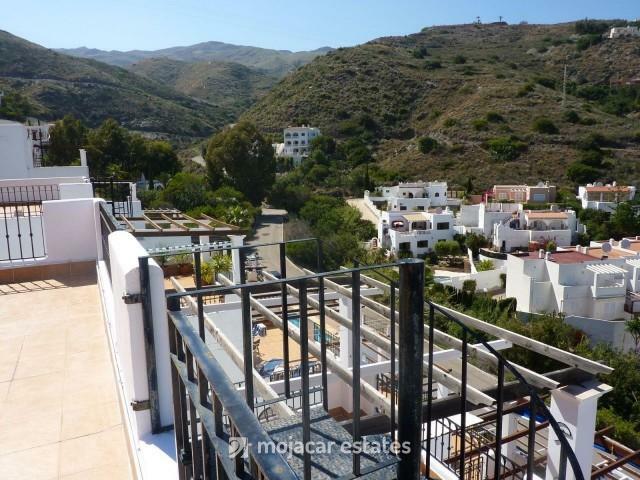 Wonderful mountain and sea views.